Posted by Administrator on September 10, 2018. The Rugby Championship enters the midway point of the six week competition and although it has Rugby fans glued to their TV sets, monitors and gadgets, the first two rounds has given us only one little surprise. Argentina brought along a gutsy performance to defeat South Africa at the Estadio Malvinas Argentinas, 32-19 in the second round. Other than that however, it would seem that a somewhat predictable competition is again set to unfold. Credit to Australia for striking first blood against the All Blacks, leading 6-0 all the way to the end of the first half in their first encounter, before Aaron Smith crossed the line for a try. It was still the Wallabies leading at the break but the second half would see Jack Goodhue score from a counter attack and Beauden Barret displaying some soccer-esque skills that saw the All Blacks lead 6-19 by the 52nd minute. Some forwards magic happened when lock Brodie Retallick sold the dummy and crossed over for the try four minutes later before the Foley-Maddox Wallabies combo came back with a masterclass try of their own. Waisake Naholo then scored a double to see the game end 16-38 for an All Blacks win. Lukhanyo Am scored the Springboks first try at King’s Park Stadium against Argentina before Nicolas Sanchez responded for Los Pumas seven minutes later. Pablo Matera then scored for Argentina before Aphiwe Dyantyi collected a cross kick from Le Roux to cut the deficit to 14-10 at the break. Seventeen unanswered points was to come from the Boks in the second half beginning with a second try from Dyantyi and another from winger Makazole Mapimpi. A second try for Mapimpi came in the 53rd minute before Matias Moroni intercepted a Boks pass to score under the post for Argentina’s first points of the second half. 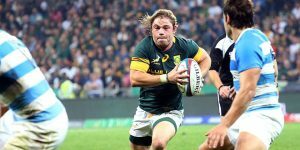 Scrum half Faf De Klerk sealed the match at the 70th minute with a try, the Springboks defeating Los Pumas 21-34. 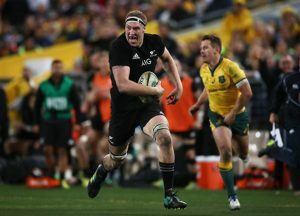 The second round of the Championship was highly anticipated for its Bledisloe clash as the All Blacks hosted the Wallabies at Eden Park. It took the All Blacks close to 13 minutes before scoring through Beauden Barret before Will Genia crossed the line for the Wallabies. Beauden Barret scored another try before the break to see the All Blacks lead 14-7 at the half. Three minutes into the second half and it was Joe Moody who crossed the line for a try and then came “the show”. Liam Squire scoring like he was a fullback, a delightful reply from Wallabies Reece Hodge followed by a brilliant solo effort from Beaudy again. A disallowed try from Barrett was quickly avenged as Damian McKenzie zigged and zagged before some outstanding ball handling from the All Blacks saw Barrett score his fourth try of the night. New Zealand win 40-12. Meanwhile in Mendoza, a gallant forwards effort from the Argentinians allowed their backs to play freely and end their 11 match losing streak in the Rugby Championship. It was Argentina that drew first points through a penalty kick but Boks captain Siya Kolisi scored the first try and it was the South Africans who led 3-7 up to the 18th minute. Bautista Delguy scored in the corner for Los Pumas and followed it up with a second soon after. 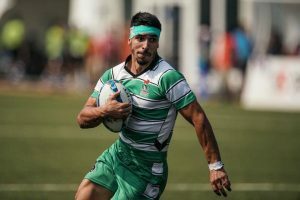 Nicolas Sanchez collected the first of his second-half points two minutes later followed by a drop goal soon after. Ramiro Moyano then scored easily and the conversion had Argentina leading 32-7. The Boks attempted a comeback through a Lionel Mapoe try and cut the deficit through a second Mapoe try in the 65th minute. 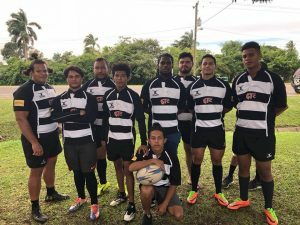 It was all too late though as Los Pumas stuck to their guns and came out victors 32-19. So with four weeks to go, the Bledisloe is in safe hands with the All Blacks for one more year, South Africa fails to perform consistently and Australia comes to the third round without Bernard Foley but with Israel Folau back in the Green and Gold. 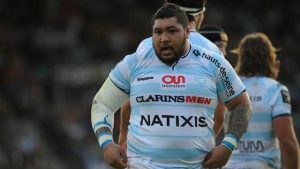 Argentina are on a high after their victory and travel to Nelson to face a new combination of All Blacks after Steven Hansen has taken steps to rest some of his more staple players. Can we look forward to an upset from Los Pumas versus All Blacks? 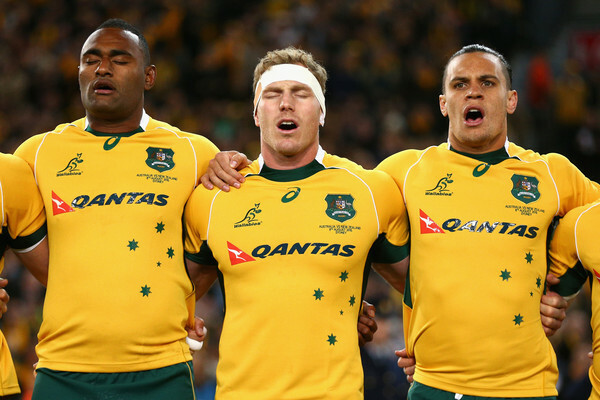 Will the Wallabies shake up deliver their first victory against the Springboks? It would be nice but highly unlikely. Ah well, at least there should be some brilliant Rugby to watch.